The current tactic of global-warming catastrophists is to sue major oil companies for wrecking the planet — never mind that fossil-fuel energy has lifted billions from squalor and back-breaking toil during the past 150 years and continues to do so. The most advanced of these cases is now playing out in a US federal court in San Francisco before Judge William Alsup. Because he’s insisting on evidence about human causation of warming, the case has tested the soundness of orthodox climate science and so far found it wanting. Leading sceptic scientists have also submitted briefs, opening up a climate debate warmists have been desperate to avoid for the past decade. This article will look at the court case and then at the history of climate debates. But the big excitement last week was the so-called “Exxon knew” lawsuit brought by the cities of San Francisco and neighbouring Oakland against five oil majors. The two plaintiffs claim the oil producers conspired Big Tobacco-style to conceal the climate harm of their products. The majors are supposedly responsible for the local sea level rise and should therefore pay billions of dollars for sea walls, dykes, whatever. Well, yes, it’s all ridiculous. The San Francisco tide gauge (1854-2016) shows an upward trend complicated by some sinking of the land — the city is, after all, in an earthquake zone, and has been rocked repeatedly — but the “rise” is still a mere eight inches over the past 100 years. The plaintiffs’ lawyers are nevertheless making their song and dance about the rise, savouring a reported 23% of any damages to be paid by Big Oil. Their case relies by necessity on future sea-damage forecasts by the shaky CMIP5 suite of climate computer-models, and then they need to demonstrate that the oil majors are responsible, as distinct from, say, car and truck drivers who actually pump out the emissions. Another six Californian counties and cities are trying to run similar cases and in New York, the city wants $US20 billion restitution from the oil majors (less, of course, a hefty cut for the lawyers). Keep in mind that the San Francisco establishment is a cat’s cradle of loopiness. Power prices have risen at five times the rate in the rest of the US while California leads the US (like SA here) in generation from renewables. Ex-California Governor Arnold Schwarzenegger, whose beefiness apparently extends to his brain, is preparing his own lawsuit suing the oil majors for first degree murders of the populace. While posturing about Big Carbon’s lethal climate vandalism Schwarzenegger continues commuting in his king-sized Hummer and helicopter. In the San Francisco-Oakland case, the two cities were immediately wedged by Big Oil’s lawyers, who noticed that they had issued billions of dollars worth of civic bonds with no alerts to investors about the watery peril they now claim to be facing. Ergo, these bond issuers either deceived investors or their current protestations about the peril of rising seas is intended to deceive the judge. That has been far from the only embarrassment. One example: Professor Gary Griggs, of University of California Santa Cruz, warned the court of San Francisco being engulfed by ten feet of water. This was countered by Chevron’s lawyer, who noted that in a recent state government document the very same Professor Griggs put the chance of California seeing a ten-foot sea level rise at just 0.1%. What’s more exciting is that the case has become a trial of the warmist orthodoxy which insists most of the global warming of the past 50 years is anthropogenic. In the recent past warmist zealots have argued for punitive fines, jail and even the death penalty for those disputing their catastrophism. Judge Alsup is a Bill Clinton appointee, which might at a glance suggest a likely affinity with the plaintiffs’ cause. But he is also a former engineer and, before that, a B.Sc. in mathematics. Moreover, he has a reputation for personally probing complex non-legal issues, rather than relying on rival expert witnesses’ to-and-fro. While presiding in Uber v. Waymo, for example, he asked for a tutorial on self-driving car technology. In Oracle v. Google, he taught himself some Java programming language, to help understand the case. This time Alsup asked the climate-case parties to each give him tutorials on the science of global warming. Of the majors, only Chevron did so. Leading sceptics also presented their own case as amicus curiae or “friends of the court”. “Some of it might be down to things you’d have trouble suing – like the Sun – so you obviously need to work how particularly human influence has contributed to the overall change in risk. The judge had a good grasp of climate issues: “Nuclear would not put out any CO2, right? We might get some radiation as we drive by, but maybe, in retrospect, we should have taken a hard look at nuclear?” Alsup asked plaintiffs. “No doubt solar is good where you can use it, but do you really think it could be a substitute for supplying the amount of power America used in the last 30 years?” Alsup also created a flurry by commenting from the bench that the “conspiracy” of oil companies (to disguise the climate harm of their products) looked far-fetched: “From what I’ve seen, and feel free to send me other documentation, but all I’ve seen so far is that someone [from an oil major] went to the IPCC conference and took notes. That’s not a conspiracy.” He hasn’t dismissed the lawsuit (as often misreported) but the plaintiffs now have an uphill battle. Reporter Phelim McAleer reports that Alsup also mocked the numerous times IPCC predictive models got the current climate trends wrong, the judge saying to Chevron’s lawyer: “So your point is that [IPCC] models overstate the problem. Instead of doom and gloom, it’s just gloom”. Chevron endorsed the IPCC orthodoxy but enjoyed citing the many caveats in the body of the 2013 report that were glossed over in the Summary for Policymakers. One example: climate models run hot compared with actual temperatures. This has forced the warmist plaintiffs into “denying” the IPCC itself. Katherine Heyhoe, a Texas Tech University climate scientist, now argues the 2013 IPCC report has been made obsolete by newer climate models. Predictably she now says everything is all much worse than we were formerly told to believe. Put side by side, the pro and anti IPCC cases create a high-level “climate debate” which warmists have long fought to prevent. “Do not debate!” has been warmist policy ever since their talent was trounced by the sceptic team in a two-hour New York public debate at Radio City Hall in 2007. The audience initially polled 57.3% to 29.9% for a “Global Warming Crisis”, but after the debate that flipped 46.2% to 42.2% in favour of the sceptics. US warmist “experts” subsequently refused even to share platforms with sceptic rivals if informed critics of their shtick are given equal standing. In March, 2013, Gavin Schmidt, director of the NASA/GISS climate group, fled the TV interview room (from 6.20 mins) when he learned Roy Spencer, an expert on earth temperature readings from satellite, was arriving and would subject him to questions. A year later Dan Weiss, the director of climate strategy at the liberal Center for American Progress, did an equivalent runner rather than face sceptic Marc Morano in debate, as did Hollywood icon and “Titanic” director James Cameron in 2010. In a recent exception, warmist Jon Christensen (UCal LA) and sceptic Willie Soon (Harvard) went head to head at a Comedy Club in Los Angeles in January. The result was not scored but the audience jeered whenever Christensen denied California’s soaring power prices were hurting low-income families. The debate can be viewed below. Several debates have been run in the UK, although BBC Scotland in 2014 banned broadcasting them because they would “be in breach of the editorial guidelines on impartiality”. The BBC, notoriously, lied for years and fought FOIs in the courts to maintain that its policy to muzzle sceptic views on climate had been recommended in 2005 by a panel of top science experts. It was finally revealed that 25 of the 28 panel members were green activists and journalists. Only three were current scientists (all alarmists). 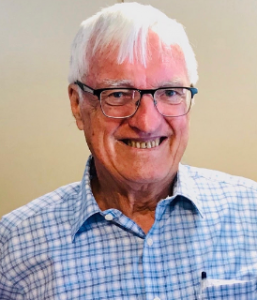 The ABC’s Robyn Williams on the Science Show last June 24 purported to run the sceptics’ case under the teaser header “Has ‘Denying’ Won?” but in multiple ways stacked the deck to ensure warmist Andy Pitman had the last word on all sceptic propositions. Those points, in any event had beenpicked and snipped by Williams. It is remarkable that, despite all the warmist establishment’s efforts to suppress criticism of the tattered Catastrophic Anthropogenic Global Warming narrative, most of the Australian public (54%) has seen through it or aren’t convinced. Don’t believe me? Believe this CSIRO survey. Judge Alsup will throw out the San Francisco City’s lawsuit, for sure. But, meanwhile, the case is shedding delightful light on the wobbly warmist case, and putting sceptic science on to the world stage. The kids or their mentors demand that CO2 be brought down from 400ppm now to 350ppm in 2100. This case is rolling along, with an appeal court this month requiring the Trump administration to submit to trial, likely some time this year. As a Republican and governor, Schwarzenegger signed into law in 2006 an Act for the State to cut emissions by 2050 to 80% below 1990 levels. The warmist team: Gavin Schmidt (NASA), Richard C.J. Somerville (Scripps), Brenda Ekwurzel (Union of Concerned Scientists). Sceptics: Richard Lindzen (MIT), Philip Stott (U. London), Michael Crichton (physician/novelist). The BBC refuses any balance between warmists and sceptics because sceptics’ views are “based on opinion rather than demonstrable scientific validity”. Integrity/Jim Carlton Annual Lecture at Melbourne Law School. Has the use of fossil fuels been a net benefit to humankind? The answer must be a resounding yes, as any Warmist who flew to give evidence must acknowledge. This cultist mantra that “Big Oil” should pay is fine by me. But why stop at $20Bn? Let’s make it $100Bn/year as that should satisfy the Greediest Green Garden Gnome. Oh, did I forget to mention that this will double the price of fuel, collapse the economy and cause the greatest recession evaaaa … It’s a small price to pay to ensure the survivors return to cave dwelling before the country is taken over. The governor of your state has alleged that the fuel you are about use is killing people and destroying the planet. The former governator of California wants to charge our company executives with murder. We take these falsehoods seriously, but as there is a possibility that they might win their case we have decided upon the following solutions. 2. to pay into the state treasury all excess money collected for your government to remedy the perceived damage done. Secondly, we advise that we are withdrawing our services from your state in 90-days from now so that there can be no further claims of our damaging the pristine wilderness you will soon return to. The clock to the end of oil in your state started today. We wish you all the best in a world not polluted by oil, gas, CO2, plastics made from oil, synthetics, paved roads, transport, oil-fired electricity generators and all those other destructive products that in retrospect we now regret providing. Our good intentions were apparently misguided, but we intend rectifying that immediately. Please note that the price of your fuel may double every few days if we perceive that there may be a shortfall in achieving the required target. We thank you for your sacrifice and for setting us on the right path. It amazes me that the ‘smartest’ people we masochistically elect to trample on us apparently cannot join two dots and relate cause and consequences. Or maybe they can … and there really is a Soros Illuminati pulling the strings. Fear not dear readers. The global warming scam will be exposed and will collapse in a few years time as the increasing effects of the current grand solar minimum cause massive crop losses and the death by starvation of millions. This trial is not even happening if one relies on the Aus MSM for information. Silence will remain unless it is perceived that Lindzen et al are losing badly, when there will occur much noise and smug, snide commentary. Minor aberrations such as IPCC self-contradictions and hysterical “Governator” self-promotion will never receive much coverage – too easily lampooned by the lumpenproles. It’s a pity that Exxon is running dead, although that was predicted as an act of self-protection for them. We suspect that the court theatre may quietly fizzle as out-of-court settlements are pursued, for much the same reasons of self-protection … we hope not, of course, and it is difficult to see how to enforce public silence from the greenie side on any settlements. That would be an act of self-denial too alien for any practical purpose. Interestingly, the judge involved here is taking at least his own reputation seriously. His question on the accepted causes of warming (yes, but accepted by whom ?) exposes the alarmist feedback mechanisms to sunlight. This has the possibility for major conniptions, as water vapour is regarded as the hypothetical major warming accelerant but empirical evidence from the carbon/water cycles does not support this hypothesis. It would be greatly appreciated if Tony Thomas would continue reporting from the trenches. Obtaining hard, accurate information in these cases is always difficult. Tony’s articles are an oasis in a desert of silence. I see where Michael Crichton has been listed as a member of a warmist team. This surprises me because his novel “State of Fear” was pretty much treated as “denier central”. Legal opinion suggests this case will fail for the above reason. So despite the excitement about sceptics being given an opportunity to present to the court for a few hours, Big Oil seems to have taken a tactical decision NOT to fight this case on climate science grounds.